It's the letter you dread getting. The one that informs you that you've been selected to participate in an audit of your tax return. Or better yet, the one that tells you that you owe more than you initially thought. And, oh, by the way, here's the additional penalty for that error. The complexity of the tax code certainly got the better of Robert Frost in 1939 when he miscalculated his tax obligation on the earned income credit portion of his return. 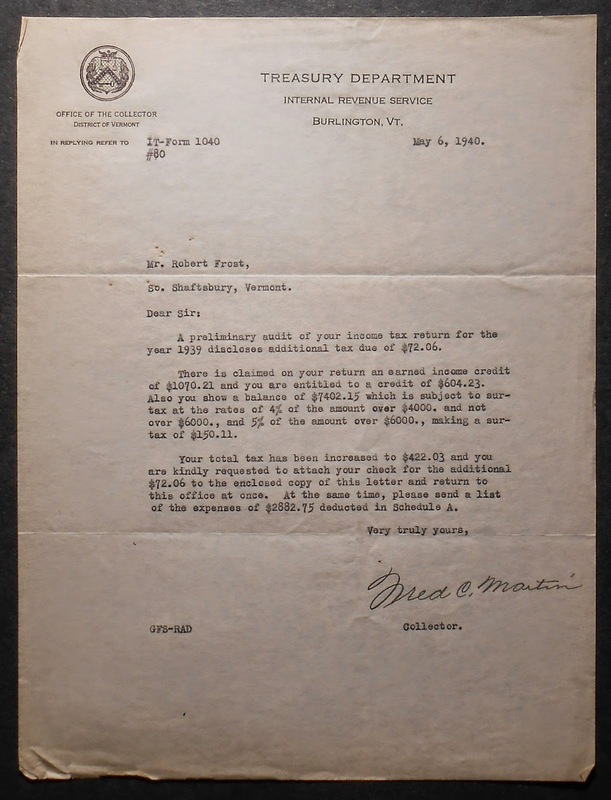 According to a May, 1940 letter from the Burlington office of the IRS, Frost was "kindly requested" to attach his check for the $72.06 he still owed and to also send in an itemized list of the expenses matching the $2882.75 he had deducted in Schedule A. 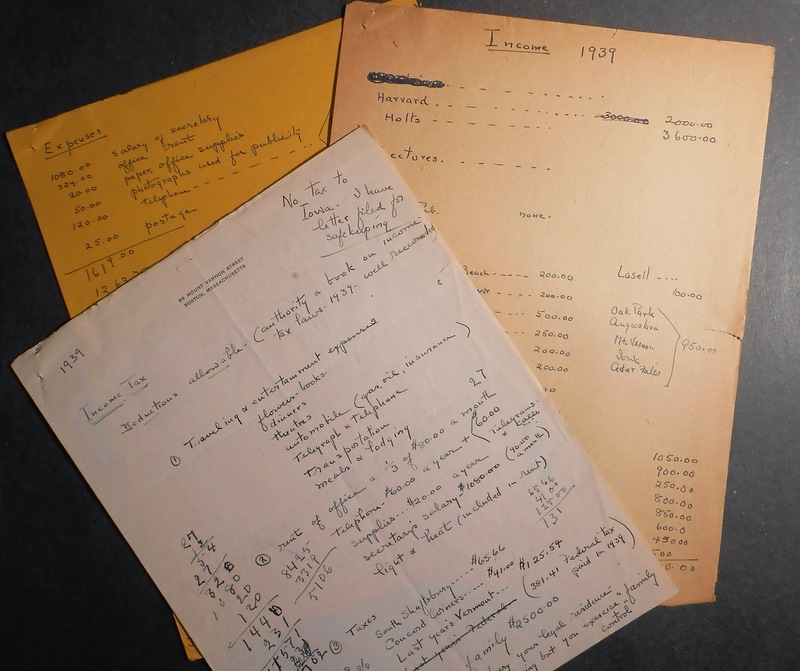 In the same folder are Frost's returns for the years 1927-1939 as well as some of his preliminary calculations for that same period. What appears to be a more comprehensive set from 1939, possibly in preparing his response to the audit letter is also included in the folder. Ask for MS-1178, Box 20, folder 16 to see this batch of returns. Other returns are also included in Frost's papers.